I've recently been "digging" into the branch of my family tree that lived in Evansville, what an interesting and fruitful trek I must say! Vanderburgh county, Indiana has proved to be one of the better represented counties on the internet, from the vast obituary collection available, to its GenWeb site to the cemetery records that are available online, I have discovered so much on my Evansville relatives lately, its been a genealogists dream! My Evansville connections begin in the Canton of Bern in Switzerland. Christian vonAllmen married Barbara Steiner around 1840 and they soon had a daughter, Maria (or Mary) around 1842. Around 1844 the family came to Illinois, settling in Richland co. where Christian had many relatives (if you look at census records from the time, the Richland area has a very high number of families either born in Switzerland or from Swiss stock). They had a second daughter, Margaret in 1846 and my ancestor, Susanna in 1849. Three sons followed and when Joseph, born in 1857 was young the family came to Evansville. Christian established a broom-making business which apparently thrived because after his death in 1887 some of his sons took it over. The family, when they came to the US dropped the 'von' part of their name and went by Allmen, Allman or Alman most of the time and that is exactly what they are listed under in various records. Now, my ancestor, Susanna married John Berger in Evansville in 1866 and they didn't stick around much longer, but most of Susanna's siblings did stay in the area. Her sister, Margaret married Andrew Maurer in 1867 and they stayed in Evansville, raising their three children, Emma (b. 1870), Joseph (b. 1875) and William (b. 1877). Emma married left the area but died without issue as did Joseph and I think but am as yet, unsure that William followed in the same path. Two of Susanna's brothers also died without issue and I believe, Mary/Maria did also. The youngest, Joseph, married Missouri Myrick in 1887. Joseph is the brother that was the missing link when I was trying to figure out Susanna's parentage. When I inherited several pieces or correspondence between the siblings I was quickly able to tie the pieces together and figure out Susanna's family. Joseph is an interesting figure, whose life seemed to have been touched with some tragedy. He and his wife, from cemetery records I've gathered, lost several infants and then their thirteen year-old daughter, Hazel in 1903 when she was killed by an errant bullet during the Evansville race riot. Joseph and Missouri's surviving two daughters would go one to have families though and remained largely in the Evansville area. Daughter Helen married Conrad Boemle and they had: Helen, Wayne, Joyce and June and lived in Evansville. Daughter Alzadia "Zadie" married Louis Otto and had: Helen, George and Marvin Otto and also lived in Evansville. 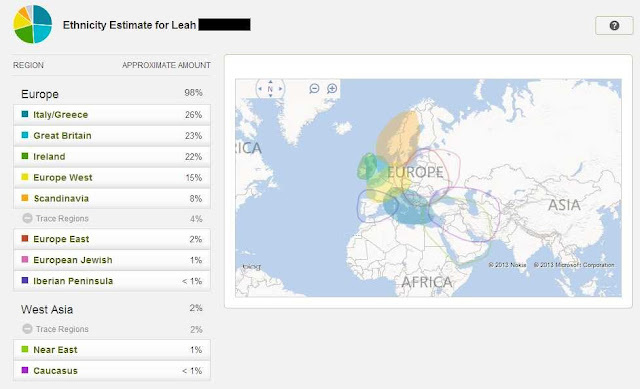 I knew little before the other day of Joseph and his family, and now thanks to these new internet finds, I've discovered a whole new branch of my family tree!